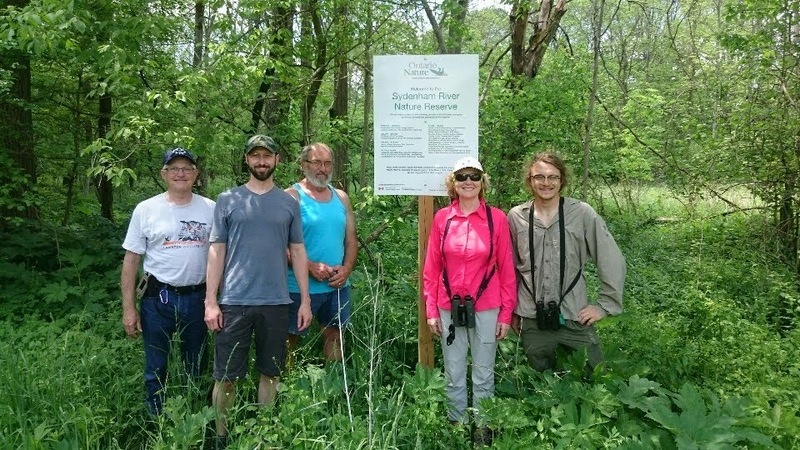 I’ve been lucky enough to join on with the stewardship team for the Sydenham River Nature Reserve. On Sunday morning our group went out on one of our 3 annual visits (spring, summer, fall) and here is a quick blog post to give folks a feel for what this sort of work entails – and to recruit for any other interested volunteers! 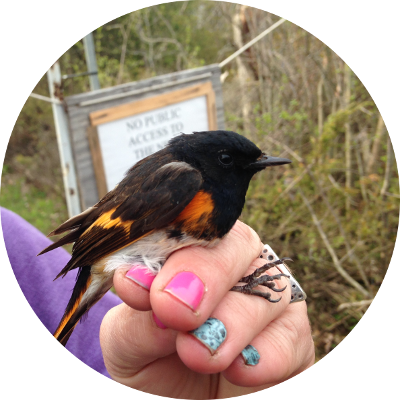 The purpose of the visit is both to submit our observations on any changing conditions on the property, keep an eye out for increases in invasive species, any fallen trees, and flooding; and also to document wildlife that we encounter. 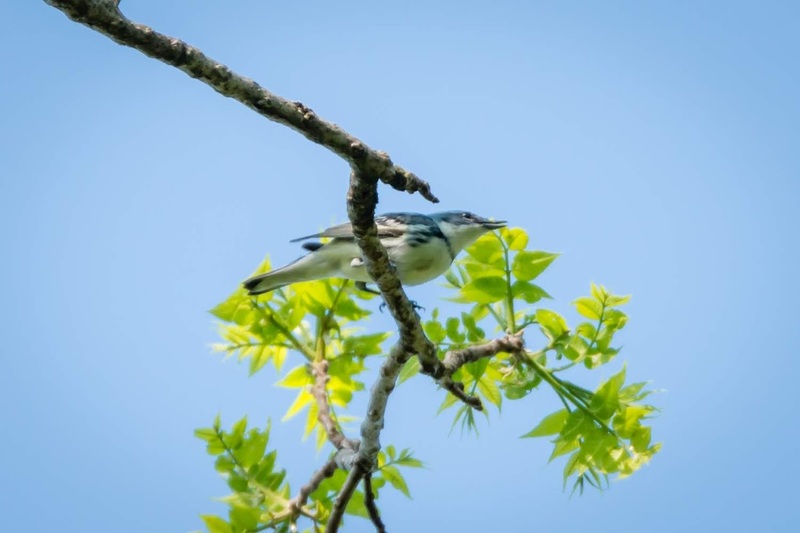 On that front we were very successful, documenting a total of 43 bird species including cerulean warbler, blue-winged warbler, scarlet tanager, and noting various evidence of breeding. We also added to ongoing lists of plants and insects found on the property. The day started out with a walk down a tractor lane-way past a farm field, where we stopped and listened numerous times for birds and watching for evidence that they are not just migrants, but potentially singing on breeding territory. A scarlet tanager pair with female making trips back and forth from a cluster of high branches carrying nesting material was noted, providing strong evidence that they are readying to breed. Cerulean warblers could be heard singing but they were so far up it was impossible to get views despite forays from the main trail. From there we hiked straight up towards the fork and west into the large field; the sun was hot on our backs as we hiked clockwise around the field listening and watching. 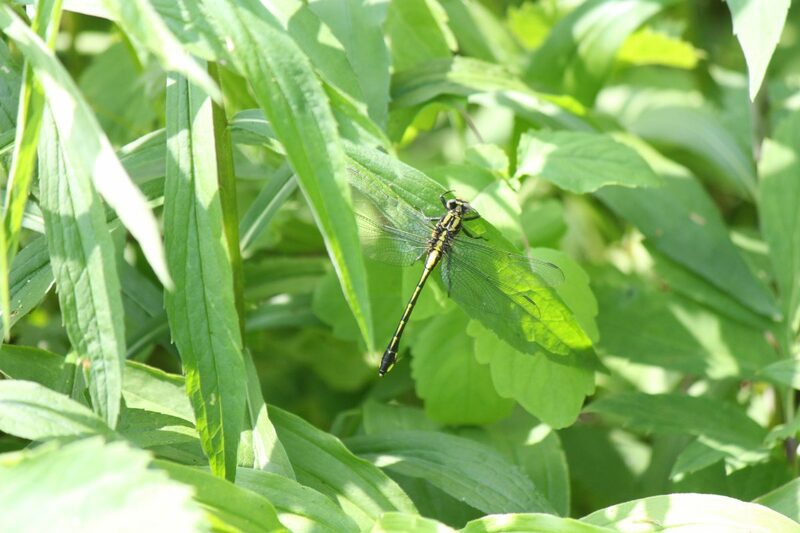 In past visits we have travelled along the ravine system around this field however this time we stuck to the field, getting good looks at butterflies, dragonflies, and other insects including shiny green tiger beetles. 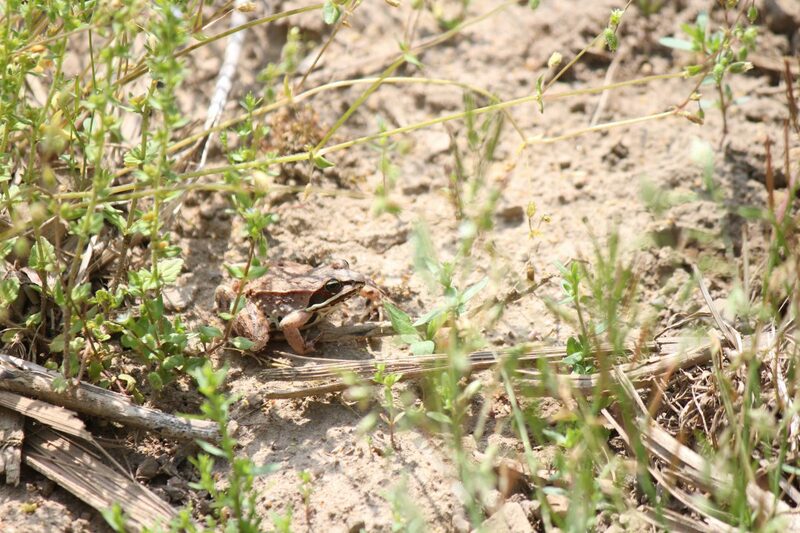 Also noted, seemingly out of place in the hot field, was a wood frog. Once we reached the north edge we left the hot sun in favour of the cooler forest and made our way towards the river, looking for evidence of turtles, aquatic mammals, birds, and insects along the river. As we travelled we also carefully lifted up bark and wood to look for snakes or salamanders and rocks along the river to look for insects. 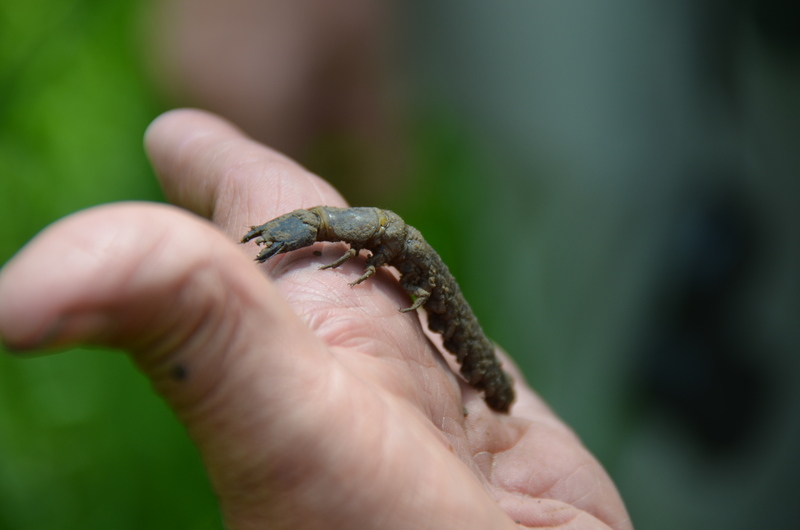 One such rock turned up the alien-like dobsonfly larvae shown below; and what might terrify some people delighted our group of nature nerds. The river yielded good looks and listens to other bird species including yellow throated vireo, mourning warbler, and american redstart. 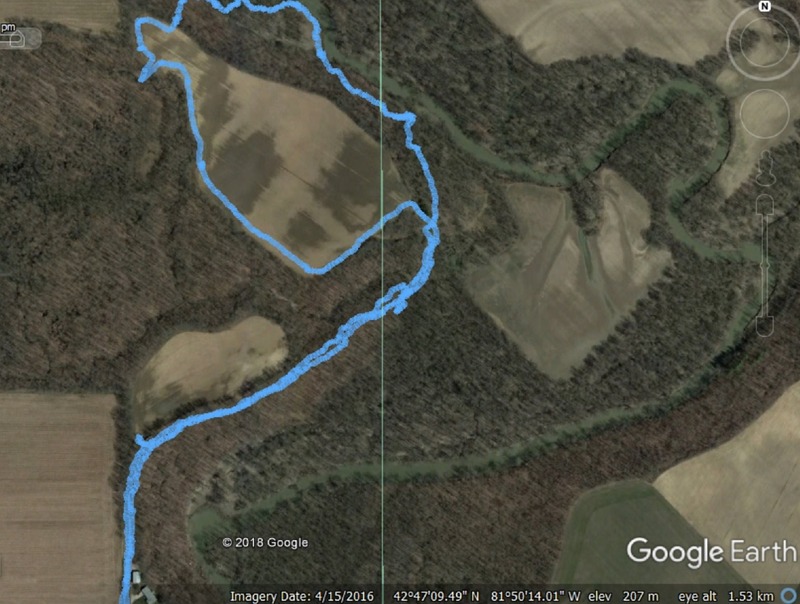 We also noted water conditions and took GPS coordinates of a tree stand that had been used for past hunting before we headed back out to the main path. Once back, we again heard the buzzing of cerulean warbler song and this time were rewarded with great views. We finished the tour and back to the cars to stop over on the north side of the river for some lunch and further listening and viewing. Throughout the walk and lunch there was a lot of interesting discussion around restoration. 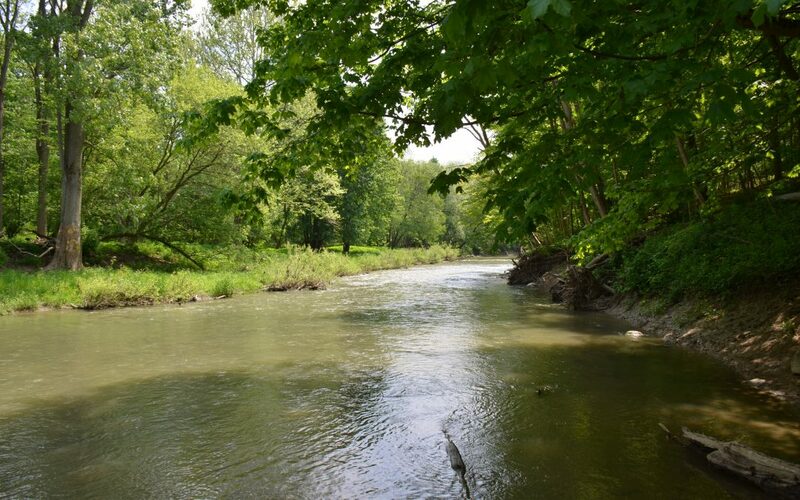 Because the SRNR is a very new Ontario Nature reserve, there is restoration required, much of which centers around some small farm fields on the property which need to be converted into wildlife habitat. A restoration plan with numbered objectives was created by the experts at Ontario Nature, fed by lots of input including bioblitz events in 2017, steward reports, and of course their own site visits. Talking with the stewardship team has given me a better understanding about the pit and mound techniques planned, drilling/broadcasting seed, and the succession ecology which will eventually yield the final desired ecosystem. Vernal pools and mounds will allow the best use of water resources by establishing means for the floodplains to hold and retain moisture for longer periods of time. It will be exciting to watch things develop over the next few years. 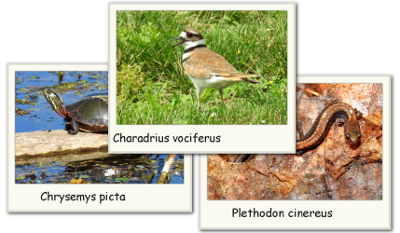 Although these properties are stewarded by local nature clubs, they are owned by other organisations; in this case SRNR is of course owned by Ontario Nature. This beneficial relationship allows the resources and structure of larger organisations to support ownership and large initiatives but still have some local on-the-ground oversight completed by passionate local individuals. The steward team is consulted as a source of information but can also help with fundraising and advocacy. There are a lot of engaging ways to get involved in Sydenham Field Naturalists – joining one of our property stewardship teams is one of these ways! SFN stewards 5 different properties and needs people of all different levels of experience who are committed to visiting the properties, making observations, and providing recommendations. Stewardship groups can offer a unique opportunity to learn and contribute to citizen science, even for those like myself who are still learning many of the plant and animal species. Check out the properties here and let us know if you might be interested!